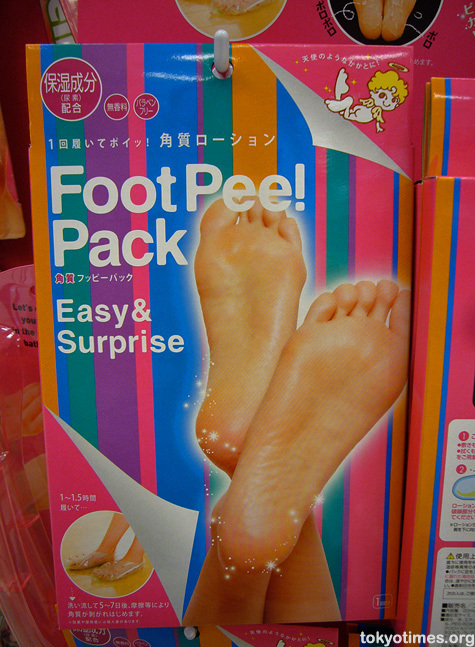 Urea is the active ingredient in many “rough skin” preparations, but I’ve never seen it marketed in such a…charming way. Ok, this item is spreading like wildfire on a lot of English gadget and pop-culture sites. Sorry guys as much as we are expecting it to be another WTF item from Japan, no it’s simply just a bad Engrish typo. 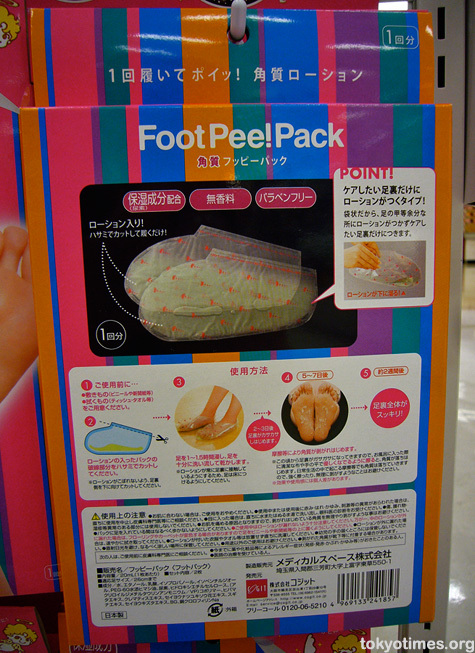 The text and the illustrated instruction at the packaging clearly says that IT is LOTION (already in the plastic), use scissors to open it and put your feet in it. It does not say in any way the user should put his/her pee on it (you guys are sick!) or the lotion solution has “urine” in it. Hell, there’s not even any urea in the ingredients.